Master planned communities are planned urban communities and neighborhoods that offer self-sufficiency, including housing, recreational and even educational facilities for its residents. The communities offer a wide range of housing options, from stand-alone homes to townhouses, and are virtually maintenance and service-free with beautiful living among a montage of activities and amenities. Whether you are looking for an expansive master planned community or a smaller version in a gated community, all offer a wide range of services and amenities. Neighborhood locations may offer winding nature trails, beautifully landscaped parks, retail shops, houses of worship, healthcare facilities and panoramic views. Magnificent homes are scattered throughout the community that is designed to be self-sufficient and comfortable. Some of the larger master planned communities offer their own country clubs, golf courses, water parks, movie theaters and shopping malls that are completed accessible to the area residents. Community services and municipal-type services are often available in these strategically designed locations for retirees. The communities offer their own police force and fire protection services, along with complete neighborhood watch programs that are some of the most successful in the country. ; Park, pathway and streetscape maintenance crews are often seen cleaning the open areas and roadways, keeping the community spotless all year-round. Residential living in a master planned community can be affordable and highly efficient. Many areas offer home maintenance and lawn services that allow you to have more free time to enjoy doing what you want to do. Golfing, hiking, boating and biking are just some of the activities that can be enjoyed while your home is being cared for worry-free. The Alhambra is a Continuing Care Retirement Community offering four levels of care: Independent Living, Assisted Living, Skilled Nursing Services and Dementia/Alzheimerâ€™s Specialty Care. 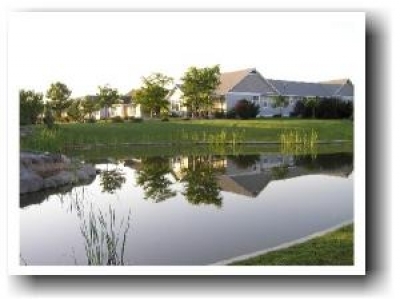 Village at Country Creek is the Grand Valley's premier retirement community. This carefully planned neighborhood of patio homes offers a limited maintenance lifestyle for residents fifty-five and better. Oak Point is the region's biggest and best 55+ Active Adult community. Conveniently located between Boston and Cape Cod, Oak Point offers over 1,100 single family homes with 1-story living and country club amenities. Prices from the mid $200's. CRF Resales offers exceptional active adult, manufactured home retirement communities in 20 outstanding, central Florida locations. Affordably priced homes with superb community amenities. Enjoy the Florida Dream Retirement! 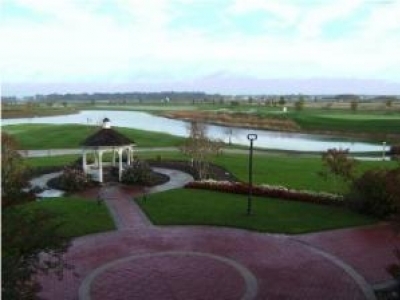 Heritage Shores will put you within minutes of the Delaware Shore. And, best of all it will put you mere steps away from our 18-hole Arthur Hills-designed championship golf course, the Fitness and Aquatic Center and 28,000-square foot clubhouse.